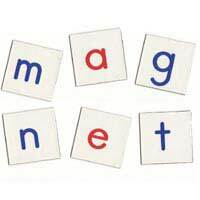 There has been a great deal of media frenzy for decades around magnetic exposure and whether it causes any health effects. The debate continues and researchers similarly continue to investigate how magnetic exposure might affect our brain skills. In a recent study, it was suggested that the application of a magnetic field to the brain influences our ability to make judgments about other people. The study focused on one specific brain region and its response when subjected to a magnetic field. We have known through previous studies that there is a brain region called the right temporoparietal junction (TPJ). This part of the brain is thought to be in a heightened state when we think about the intentions and also the thoughts and beliefs of other individuals. For this study, researchers chose to disrupt the activity in the specific area by subjecting this part of the brain to a magnetic field. The magnetic field was applied to the scalp. Results showed that the ability of the participants to form moral judgments was impaired. In particular, it is those judgments where a person must understand the other person's intentions. Part of making judgments about people in our lives involves something known as theory of mind. For instance, if a co-worker takes full credit for work that you did together, you need to figure out what she was thinking when she committed the act. Was it a case of wanting to sweep you behind her so she could advance in the workplace? Or, was she perhaps misinterpreted and never meant any harm? By influencing the brain activity in the parts where you construct your version of morality, we can impact the outcomes of your thinking process. As such, it could affect the moral conclusion that you might make in the above example. Many of us see the process of constructing morality as a complex one that we assume is a higher brain function. The study result is therefore particularly surprising in that it shows by simply applying a magnetic field to the right TPJ, we can change a person’s moral reasoning. In the study, each time the TPJ was affected, the participant was significantly more likely to misjudge a situation where a person attempted harm. Instead, they would judge it as a morally permissible situation. While it did not totally reverse a person’s moral judgment, it did bias the judgment. Researchers explain that the moral judgments you make are not stemming from just one process. Instead, they are the sum of conflicting and competing ideas in your brain, which come together to give a targeted judgment. The overall conclusion from this study is that magnetic fields can influence how we construct morality. This could have significant consequences in those who are exposed to a magnetic field and have a career role that relies on sound moral judgments. Hopefully, we can now find out how this works in different scenarios as well, deepening our understanding of magnetic exposure and brain skills.